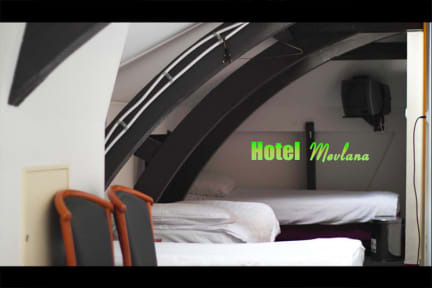 Hotel Mevlana i Amsterdam, Nederland: Bestill nå! Check-in starts at 14:00. You can check in all night long, ever after midnight. Check-out must be done before 11:00. You can store your bags in the storage room if you are too early to check in or you have checked out. 7% city tax is not included in the total price and 5% service fee will apply to all card payments. The deposit you have paid has nothing to do with us. 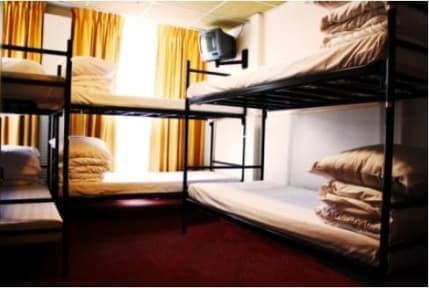 Any questions regarding this matter, please contact Hostelworld/Hostelbookers customer service. Smoking is strictly forbidden throughout the property. We have a 48-hour cancellation policy. For example: your booking is made for 15 April, so you can cancel your booking free of charge before 13 April. The free-cancellation deadline is 23:59 (local time) on 12 April. In case of late cancellation or no show, the first night will be charged on your card. Please note that we are allowed to pre-authorize credit card. If a pre-authorization is not possible, we have the right to cancel the reservation.